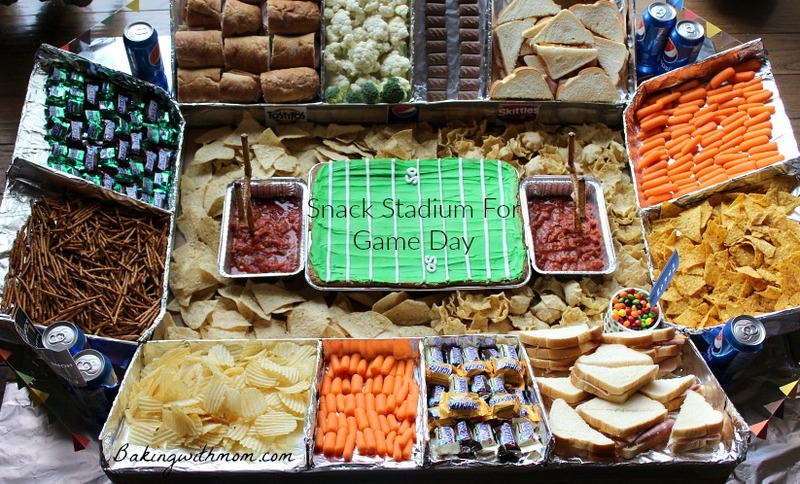 The ultimate, fun way to serve snacks is a Game Day Snack Stadium. Shaped like a football stadium and filled with a variety of treats, your guests will enjoy this creative addition to Game Day. The teasing between Ryan and his friends is all in good humor. After all, every team loses at some point. I enjoy having his friends over as they are a great group of kids. 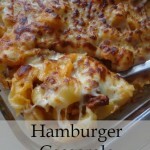 They are also a hungry, hungry group of teenage boys! 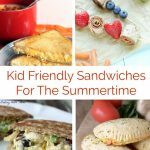 I enjoy coming up with creative ways to feed this hungry group of kids. 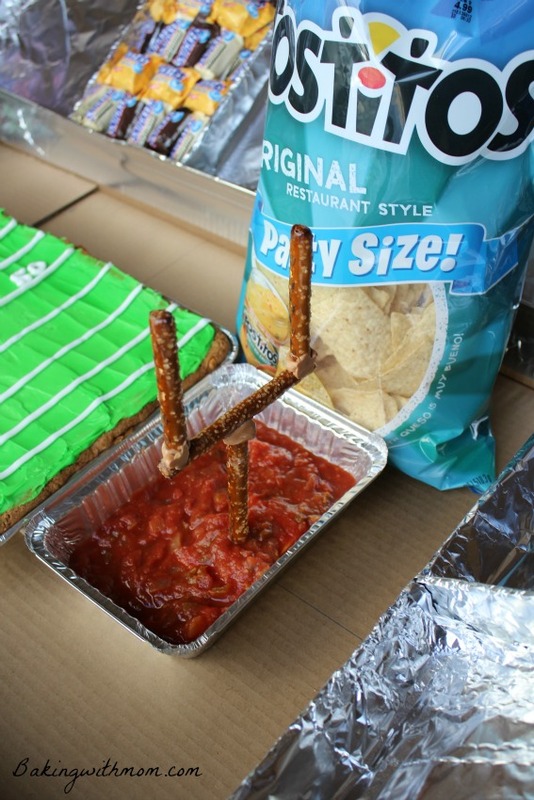 A game day snack stadium is the perfect idea for a large gathering on game day. 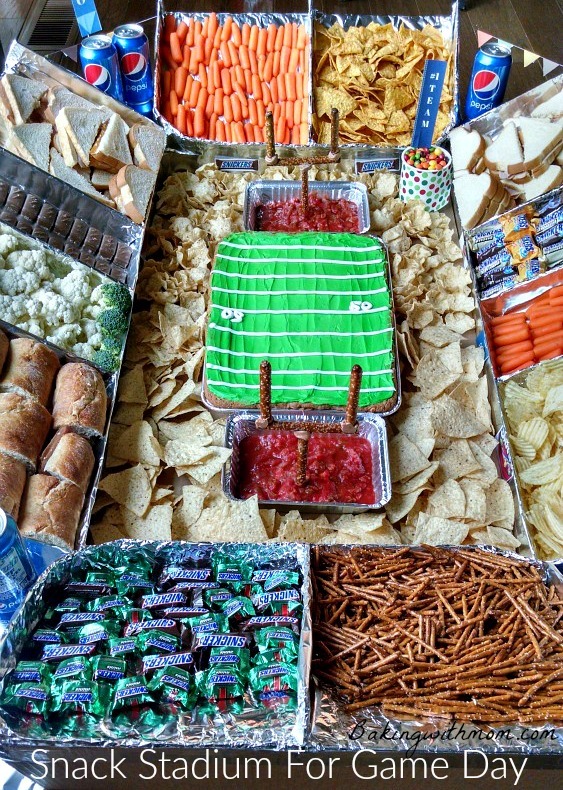 The snacks are arranged in a football stadium shape so it is fun for the guests but it is also a lot of fun to make! After thinking about what to put into the snack stadium, I realized that a variety is best! I went to Walmart to pick up the items needed for the snack stadium. (Be sure to check out the products you want at Walmart.) I got TOSTITOS® Scoops and TOSTITOS® Original chips, TOSTITOS® Chunky Salsa, Pepsi™, Skittles® XL 41 oz. (a large bag of Skittles®!) and SNICKERS® FUN SIZE® Variety 35 oz. Let me tell you, the SNICKERS® FUN SIZE® variety bag has regular, peanut butter and almond SNICKERS®. Delicious! 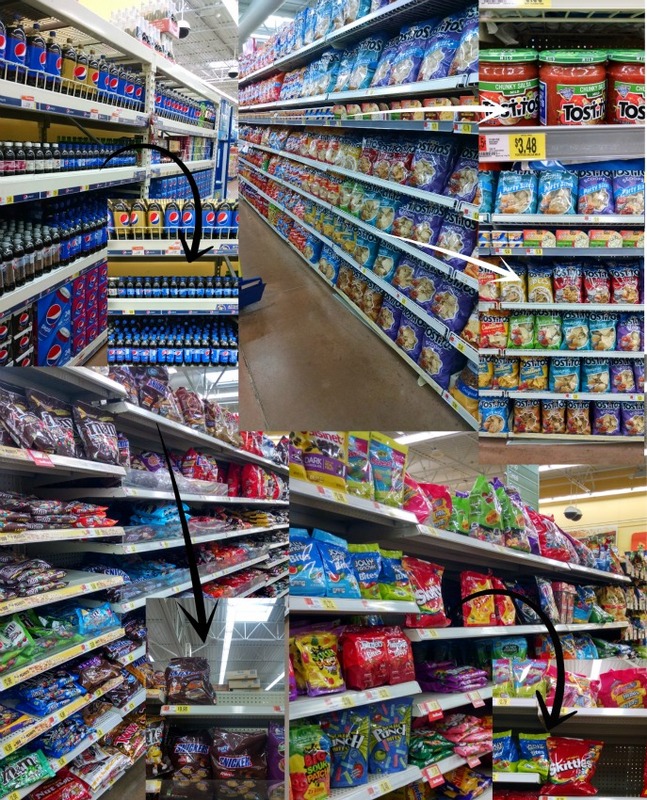 All products are easy to find at your Walmart store! 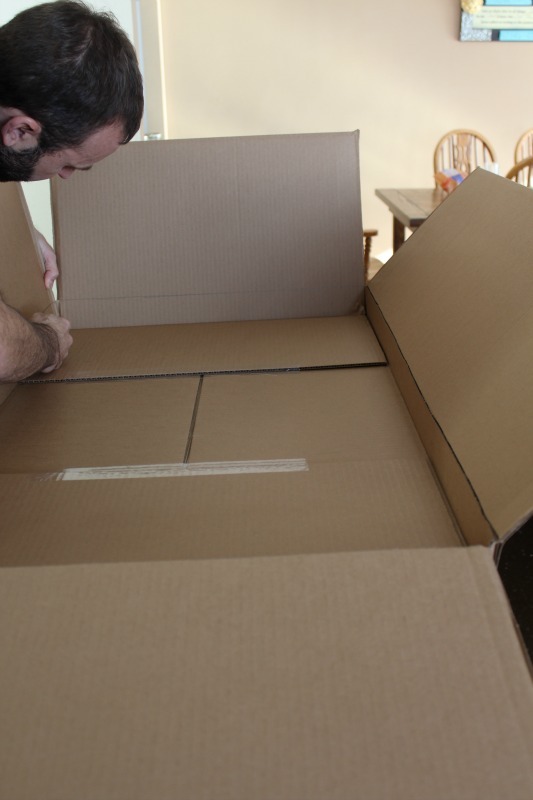 First, we found a large box leftover from Christmas. He cut the sides down and scored them so they would bend back. He also cut a piece of plywood for the bottom of the stadium for extra strength. 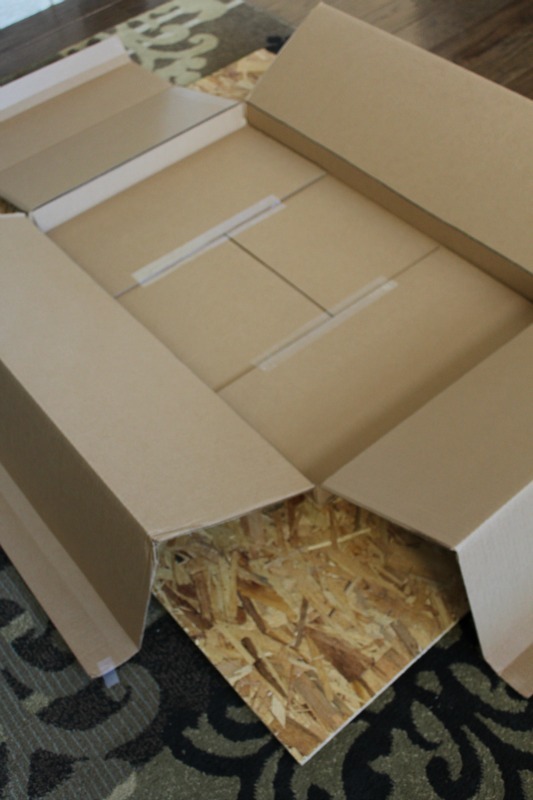 We then stapled the box to the board, at the angle we wanted the “stands”. 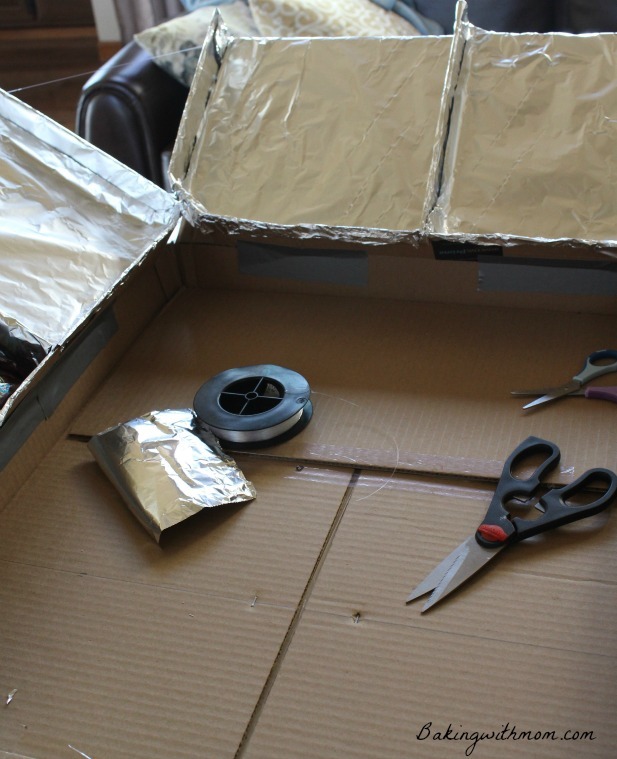 Making the stands for the food was quite easy (and inexpensive!). 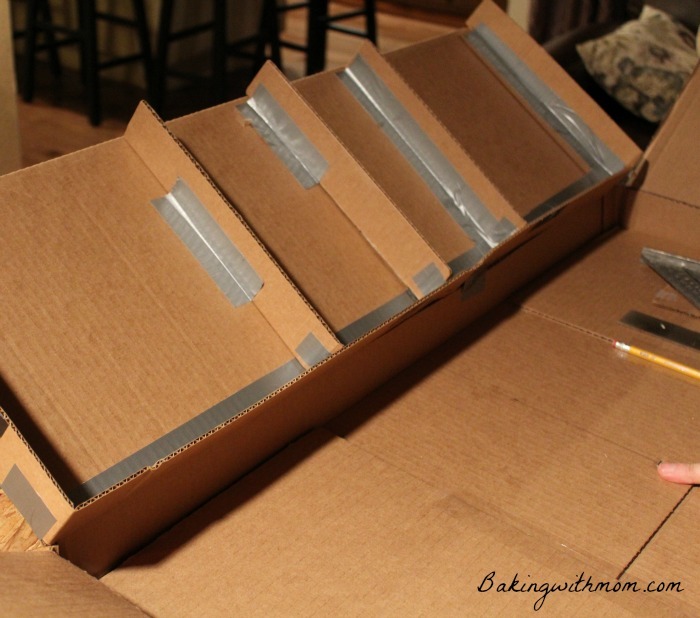 We simply took old boxes and cut strips of cardboard off of them. We just taped on the strips to the box where ever we wanted the dividers to be. TOSTITOS® CHIPS and TOSTITOS® chunky salsa make great additions to the snack stadium. 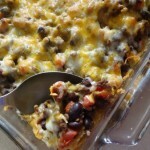 I used the TOSTITOS® chunky salsa as the end zones! I made the field from SNICKERS® FUN SIZE® Variety pack. With the almond, regular and peanut butter candy bars in the bag, it made for a great cookie. 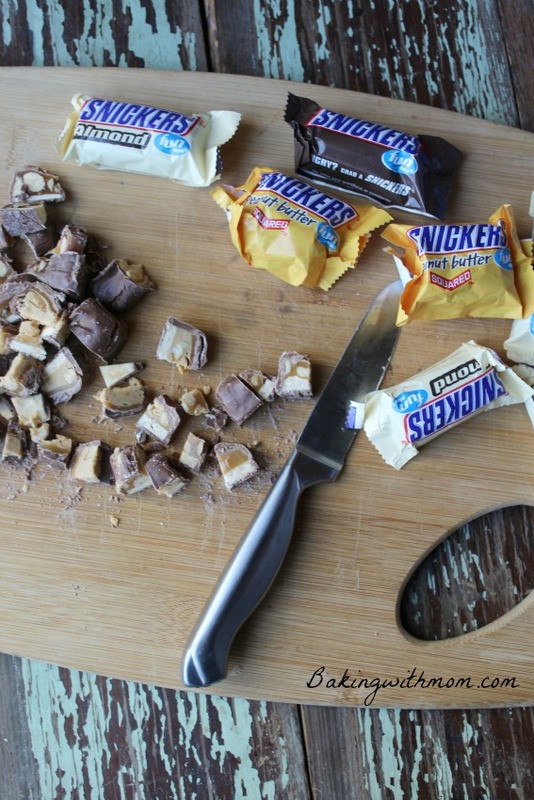 Simply chop up about 10 candy bars into bite sized pieces. Then stir them into your favorite cookie dough recipe. I added green frosting to the top (you can use my Cream Cheese frosting for this) and added the lines in white frosting. 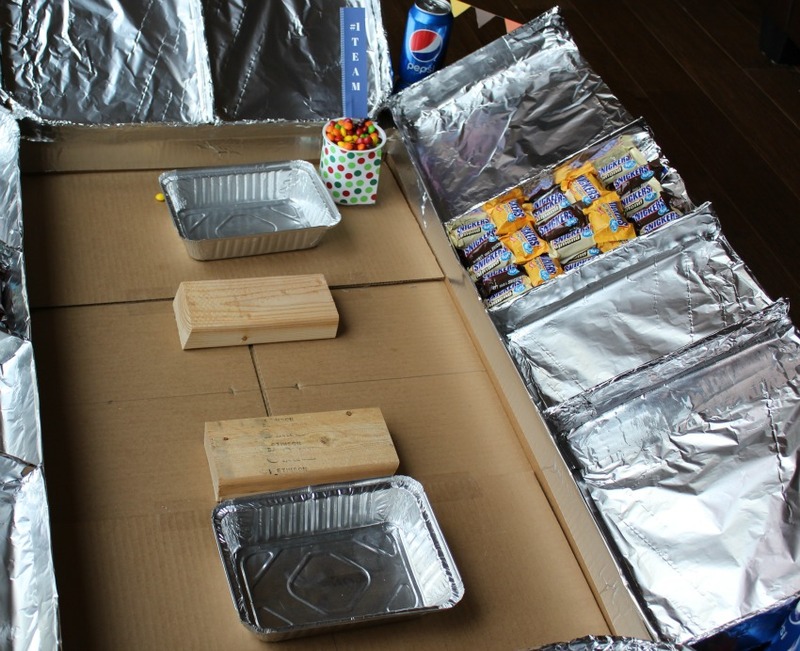 Making this snack stadium was a lot of fun. It was certainly worth the look on Ryan’s face when he saw it! 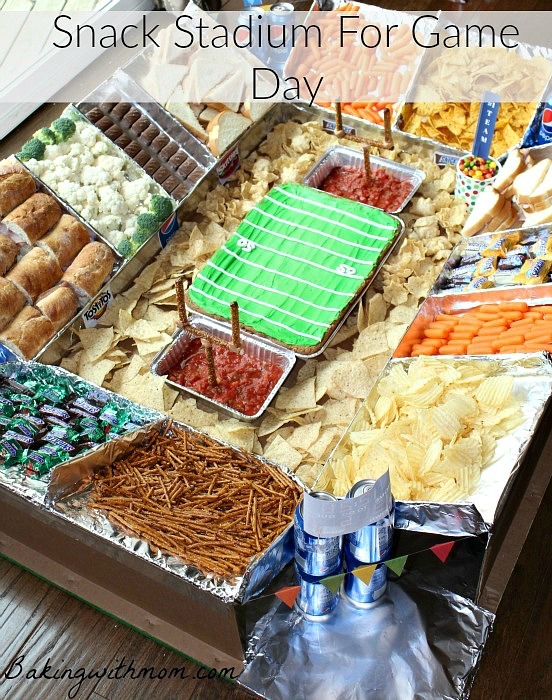 Add this snack stadium to your game day party and your guests will love it! 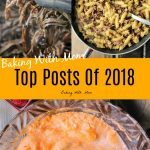 Want some more recipes and snack stadium ideas? 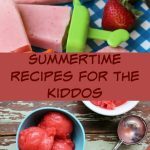 Here are more recipes and snack stadium ideas for you! So tell me, have you ever made something like this before? 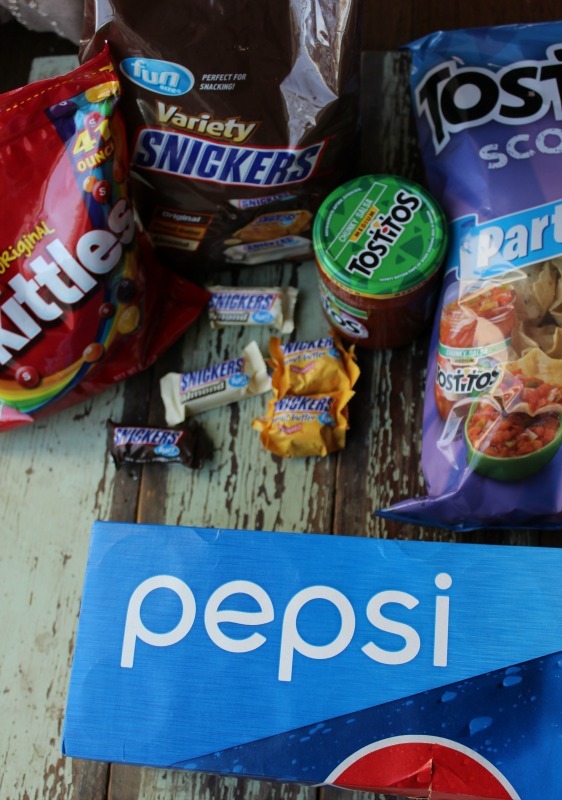 What would you add in your game day snack stadium? This is just too awesome- great job and teamwork! Thank you!! 🙂 It was fun!